Cupcake liner crafts are perfect for toddlers or for kids of any age! It’s exciting to show kids that they can take a piece of paper normally used for baking, and turn it into a creation from their own imagination! I love a good cupcake liner craft, especially because I can make it from things I already have around the house! Crafts like that are perfect when I have a sick kid I am trying to amuse, or when it’s too cold to lug the kids out. Before you get started, gather your supplies. All you really need are cupcake liners, glue, imagination, and fun things to decorate with! This is the best part! The options for decorating cupcake liner crafts are endless! Hunt around your house for spare buttons, glitter, pieces of old broken holiday decorations (ones that are safe to use, under supervision, of course), sprinkles, leftover felt or ribbon from other crafts. Or, head to the craft store and buy googly eyes, pom poms, more glitter (because can you ever really have enough? ), little jingle bells, and foam stickers with a holiday theme! Looking for something to do while you wait for your holiday treats to bake? Grab a cupcake wrapper and get crafty! This holiday wreath from Love and Marriage is crazy easy for kids to make. Warning: they’ll probably eat handfuls of sprinkles as they finish! You can dress your snowman however you want! This fun snowy day activity from A Girl And Her Glue Gun is the coolest (literally)! Make a silly elf with this idea from I Heart Crafty Things. Turn it into a puppet, and then have a puppet show that Buddy the Elf would love to watch! Make a Santa, also from I Heart Crafty Things, to go along with it, and you’ve got a whole show! This sweet angel fromCrafty Morning is a fun craft with a shiny halo on top! 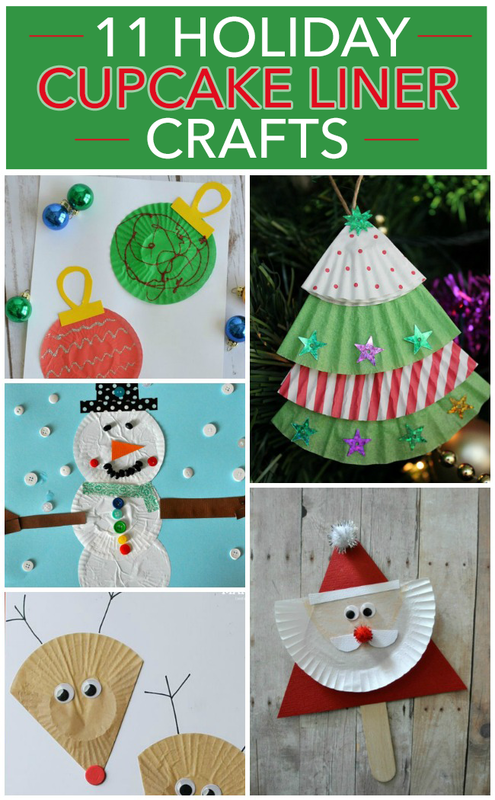 This craft from Sugar Aunts is a fun take on your average paper snowflakes! Use both small and large cupcake liners and teach your kids about how snowflakes are all one-of-a-kind! Create a priceless keepsake while having fun crafting with handprint Christmas crafts! Santa can’t do his job without his reindeer, so help him out and craft his team! 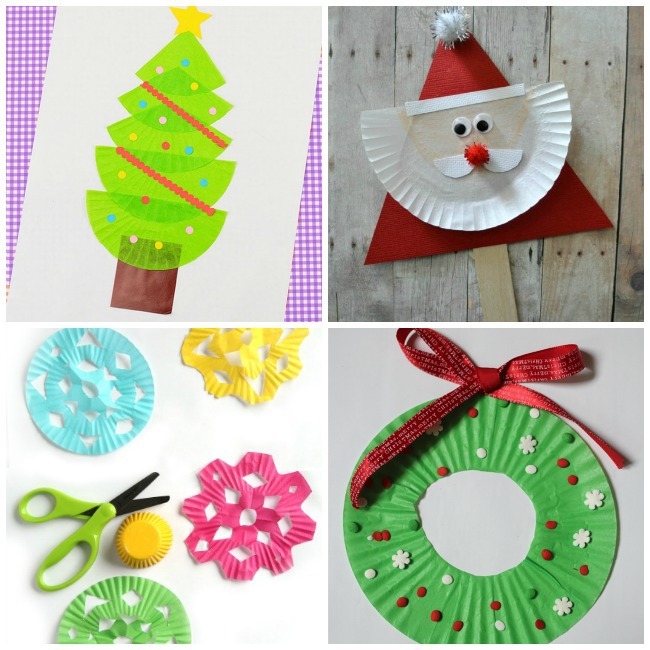 Save some of those cupcake liners for these Christmas tree crafts!